Time for a new round of articles from the ArtSmart group, bringing together great topics of interest from the crossroads of art and travel. 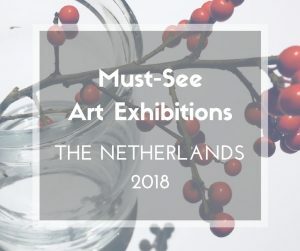 This month it’s all about Sculptures from around the world. 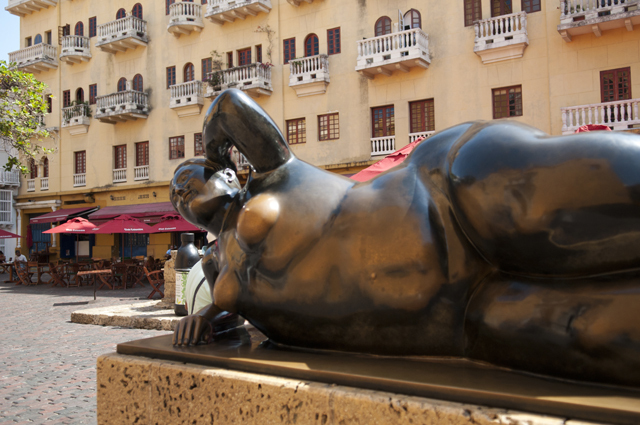 For us it means an opportunity to travel around in search for Fernando Botero’s sculptures around the world. Don’t forget to check out all the other articles, linked to at the bottom of this article. In a prime location of Colombia’s second biggest city, right in the heart of Medellin‘s city centre, the crowds are always busy and they tend to be very cheerful. This is Colombia, the country of smiles, but even if you are accustomed to the high Colombian standard for happiness, the people on this square will come across as extra excited. The reason for this excitement can be found all around: gigantic, oversized statues invite people to pose gladly and the people usually go all giggly. Maybe no wonder. 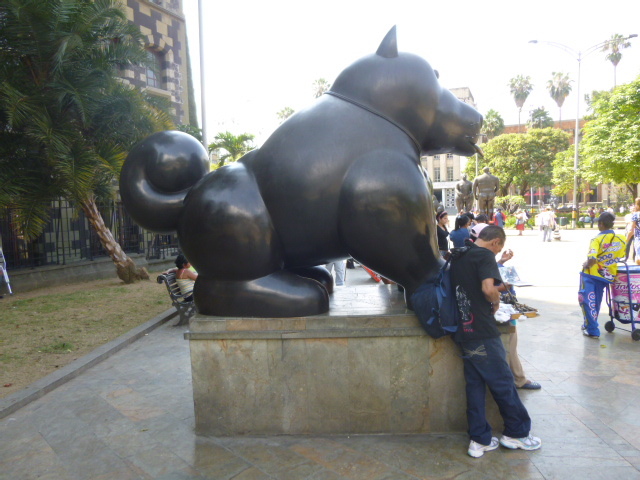 These are the statues of Fernando Botero‘s, the local son of ‘the city of the eternal spring‘ and they have a magnetic force on the viewer. Once you see one of them, they will stay in your memory forever. My first experience with Botero’s work was mainly through his paintings, but the real eye-opener happens once you spot his sculptures, the full dimension of his works become so much more apparent in three-dimensional format. His style is very unique in today’s art world, there are few artists who can pride themselves with having an entire art direction named after them, but that’s exactly the case with Boterismo. His unique signature style almost exclusively depicts people and animals in large exaggerated proportions, not rarely amidst some controversy. Be it his famous politically-loaded work of his fellow medellinero, the drug lord Pablo Escobar, or his Abu Ghraib critical series, his distinct style is unmistakable. Today Botero is considered as one of the most successful and richest contemporary artists alive, but early on in his life that must have seemed like a far-fetched fantasy. 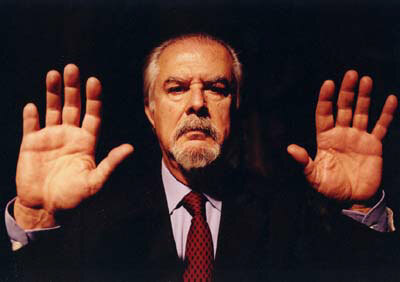 However, turning 82 in just a few days time (born April 19th 1932) Botero can now count himself as the most influential Latin American artist in the world. His journey towards this top position wasn’t at all clear during his childhood in Medellin. During his humble upbringing there was no space for an education in the arts – his horseback-ridden salesman father passed away already when little Fernando was only four years old, leaving him orphaned with his seamstress mother and two brothers – and the only influences he gained, came from the numerous baroque churches from around Medellin. Growing up under the patronage of his uncle, he was destined to join the local bullfighting school in Medellin to turn into a professional matador. His interest for fighting bulls was in any case fairly tepid, he was instead more interested in painting aquarelles of them. The major turning point in his life came at the age of fourteen, when the young boy realised that art could be part of his future: one day to get some extra money he took six of his bull paintings to a bullfight ticket vendor’s shop and asked the vendor to sell them for him. Upon returning to the store a few days later, to his great joy it turned out that one of the paintings found a buyer; in his excitement he even lost his first payment while running home. Later on in his life money turned out not to be an issue. 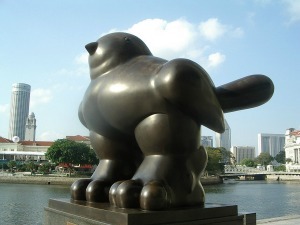 From there on Botero’s career took a turn towards the arts. He soon quit the bullfighting and started to concentrate on painting, having his first major breakthrough when at the tender age of 16 he had his first illustrations published by the leading newspaper in Medellin, ‘El Colombiano‘. The money he earned he invested in his own education and soon enough he had his first exhibition in 1948. From there the entwined road of the artist took him to Bogotá and later on a $7,000 scholarship, he won in an art contest, took him to Europe. During two years, while living on a bare minimum, he spent his time in Barcelona, Madrid, Paris and Florence, absorbed by the impressions gained from the art world around him. An artist is attracted to certain type of forms without knowing why. You adopt a position intuitively; only later you do attempt to rationalize or even justify it. Given that the voluptuous form in his art is all about volume and space, it was hardly a surprise that eventually the artist would search out new territories in the field of sculpting. The first experiment with sculptures came in his early 30’s while living in New York. His initial attempts were made with acrylic resin and sawdust, the poor man’s substitute for the bronze he couldn’t afford. When his fame broke, the bronze came back and the financial restriction was no longer limiting the artist in his artistic endeavours. 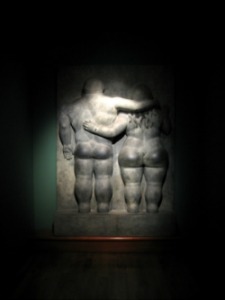 While sculptures are only a smaller part of Botero’s total oeuvre today, they are likely among his most significant works and the ones that really brought him the international popular fame he enjoys today. His sculptures can be found all around the world and often in public spaces, increasing his popularity even with a non-art-oriented public. 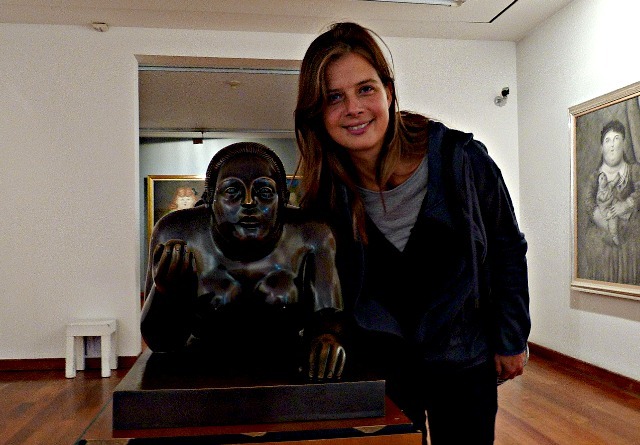 Not surprisingly, most of Botero’s works are to be found in his native country of Colombia. 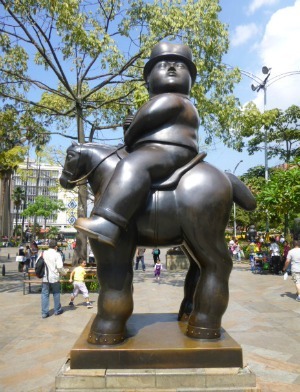 Most famously, Botero’s statues can be found in Medellin, where 25 gigantic statues are the centrepiece of the donation he made to the city. 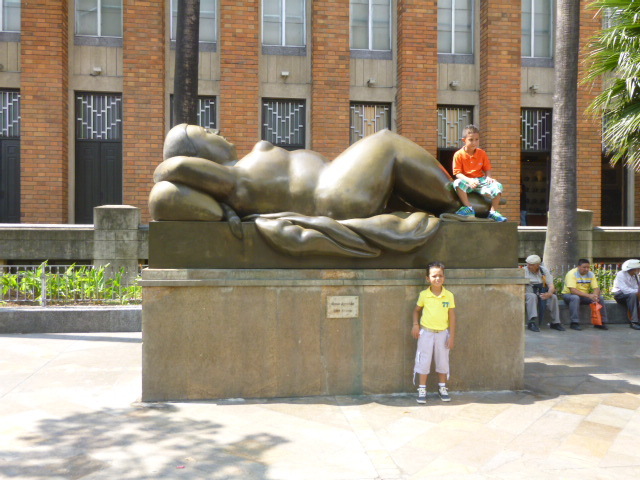 Plaza Botero is located outside the ‘Museum of Antioquia‘, Medellin’s regional museum mainly focused on contemporary art. 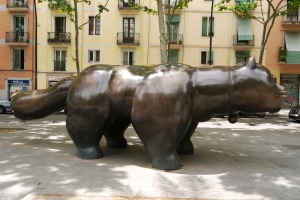 Botero donated some 119 art works to the museum, making this the second biggest collection of his works in the world – and the main hub for his sculptures. 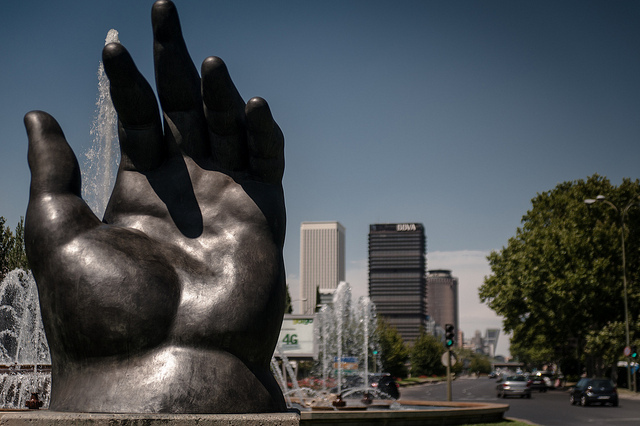 The sculpture park is part of Medellin city’s efforts to revitalise the city centre, an ongoing project that makes steady progress. However, keep in mind that this is Colombia, thus you risk coming across thugs as well among all the friendly Colombian smiles, so it’s advisable to stay on your watch while strolling among the statues – as always apply your usual common sense. I don’t paint fat women. Nobody believes me but it is true. What I paint are volumes. When I paint a still life I also paint with volume, if I paint an animal it is volumetric, a landscape as well. 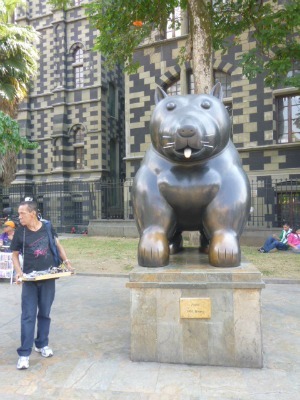 Botero’s biggest ever donation, however, was to the Botero Museum in the Colombian capital Bogotá. 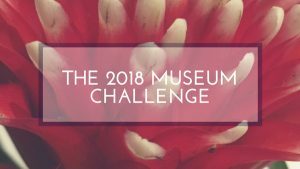 In 2000 he donated 123 of his own works to the museum, among which a large collection of 85 other pieces, including works of dignities like Picasso and Chagall. A museum not to be missed, if you are in Bogotá, we can assure you that – and we say this not only because almost uniquely in today’s world it’s free to visit. While most of Botero’s works on display are his paintings, this museum certainly contains one of the finest selections of his sculptures around as well. 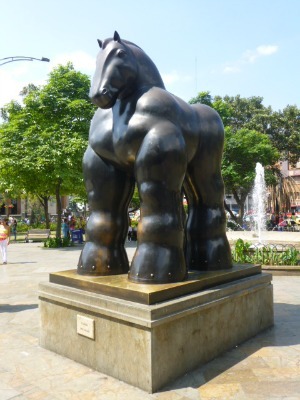 Botero’s mission with his large donations to the two Colombian cities is to spread the culture of art in his native country, a noble mission appreciated by many. 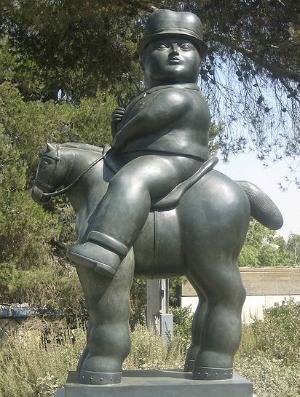 Unlike through his childhood, Botero doesn’t have to worry about his financial situation today, he is considered as one of the richest contemporary artists in the world. During his life, the Colombian artist turned into a true global citizen, with his permanent base today in Monaco, but also with homes in Paris, New York, Pietrasanta in Italy, the Greek island of Evia and one or two residences in Colombia. Not bad for a little bull fighter boy who preferred looking at the beasts instead of fighting them. 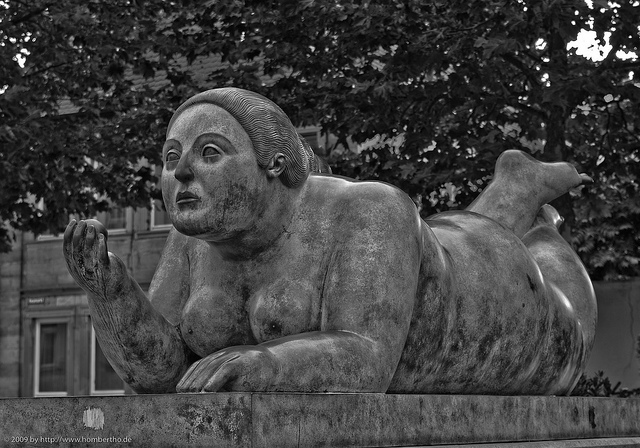 Through-out the years Botero was a very productive artist. His work can be found all around the world. While many of his sculptures are in private collections today, he also has a significant quantity of sculptures in public places worldwide. 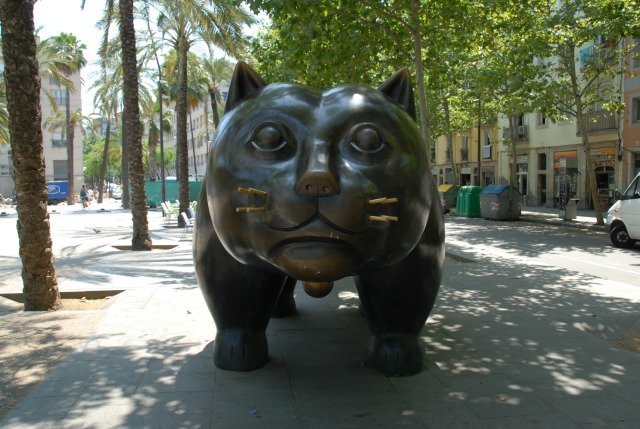 Some of his most famous works can be found in Barcelona and Madrid, but just as many of his sculptures pop up in other mega cities like Singapore, New York City, Paris and Berlin. 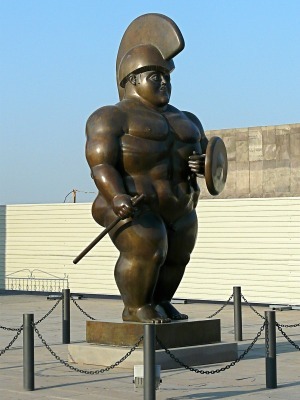 Botero’s around the world can also be found in more unlikely places like in Yerevan , the Armenian capital or the small Bavarian town of Bamberg, just to mention a few. Here we have some of the locations pinpointed for you, but if you know of others we should add to the list, by all means, please let us know. This article is part of the monthly round of articles in the ArtSmart group we’re proudly a part of. Here are the other titles – with links – in the April series themed ‘Sculpture‘. Check them out and enjoy! 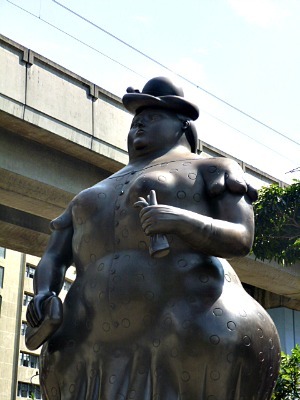 For a great post – with great close-up pictures and collages – from Plaza Botero in Medellin, Colombia, please check out Bob Ramsak’s article on his blog Piran Café: The World’s Coolest Square: 49 Photos From Medellin’s Botero Plaza.